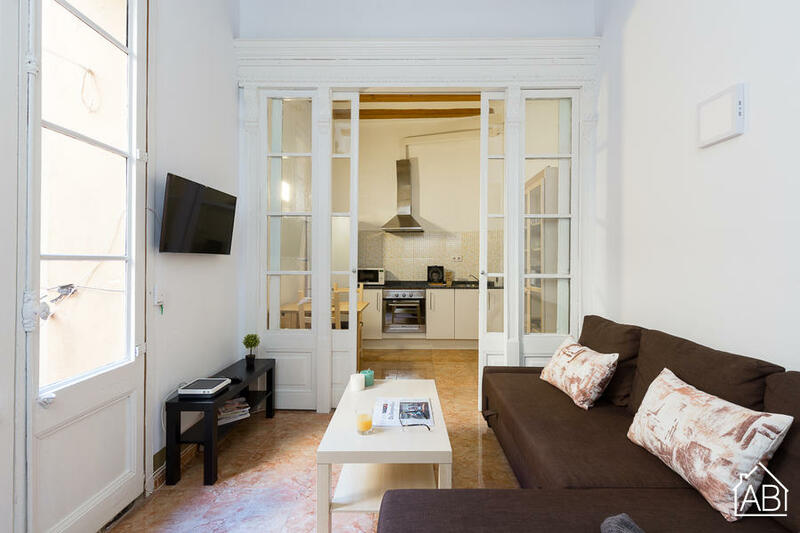 This recently renovated apartment is located in the district of El Born and offers a balcony, air conditioning and free Wi-Fi. Parc de la Ciutadella and the Arc de Trimof are just 200 metres away, and the city’s main square Plaça de Catalunya, Las Ramblas and La Boqueria market are just 1km away. Under 10 minutes’ walk away you can also find the Picasso Museum, the Basilica de Santa Maria del Mar and the Palau de la Música Catalana. Arc de Triomf metro station is just a 6-minute walk away. The apartment accommodates up to 6 people, containing 1 double bed, 2 single beds and 1 double sofa bed. The kitchen is equipped with an oven, microwave, toaster, kettle, juicer and pots and pans. The apartment also contains a washing machine, TV, iron and hairdryer. Within a short walk you will find plenty of museums, restaurants, bars and shops. This neighbourhood is a great choice for those interested in local culture, landmarks, monuments and city stays.